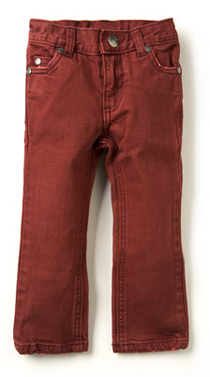 He'll stand out from the crowd in these rusty red denims. Excellent cut, quality and style as expected from the Appaman brand. Last one. Size 2T.